Mamelodi Sundowns teenage centre-back Siyanda Xulu (great surname) is currently on trial with Arsenal, after a move to Barcelona failed to come off. Sundowns communication manager Alex Shakoane told the Sowetan newspaper that his club are over the moon about the prospect of Xulu, 18, moving to England. “It is satisfying for us that the young man is being acknowledged and pursued by such esteemed teams,” Shakoane said. 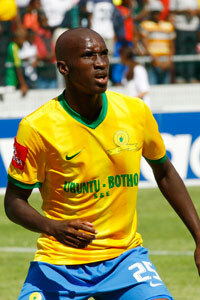 “We are especially pleased that we continue to show that when you play for Sundowns the sky is truly the limit.